This is little game I did for Ludum Dare 29. I couldn’t finish it for the compo, but I managed to submit it to the jam. Also it is my April entry for my one game a month challenge. 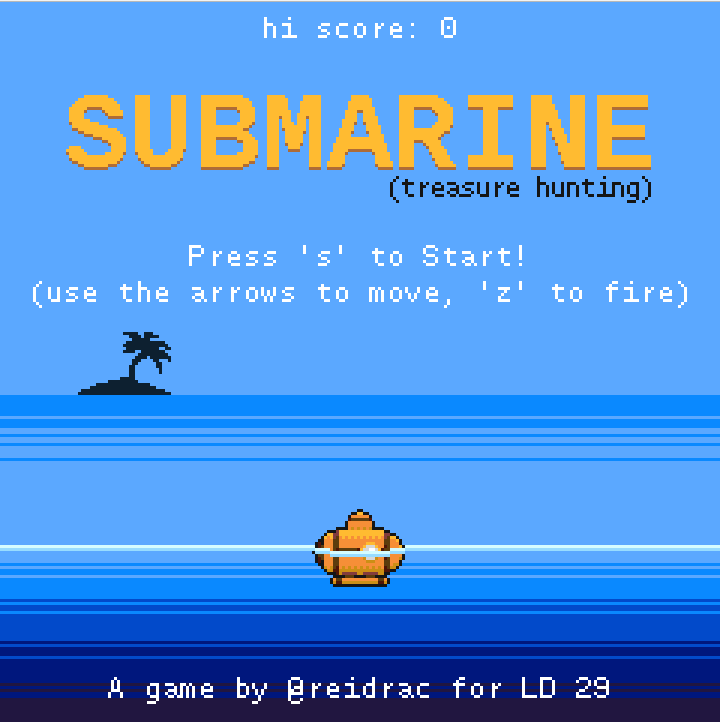 The source code is available “as-is” at GitHub: submarine- ld29. The game requires a modern browser with canvas 2D support and it’s been tested and verified to work fine with Chrome 34 and Firefox 28.